Ammonia refrigeration is considered cost efficient, and has been credited with keeping the price of food at affordable levels in the U.S. It also plays a role in the floral industry, as well as in various types of cold storage warehouses and in ice production. Ammonia industry experts say its use in refrigeration systems is environmentally friendly, and it does not destroy ozone or contribute to the greenhouse effect linked to global warming. 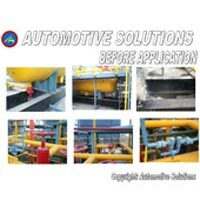 A major problem in the process industry is the corrosion of metals in pipes, valves and other parts of the equipment constructions. This write up indicates acceptable combinations of more or less aggressive fluids and commonly used materials like ammonia. Reliable ammonia detection ensures both personnel safety and product quality. The nose may detect ammonia in concentrations as low as 5 ppm. 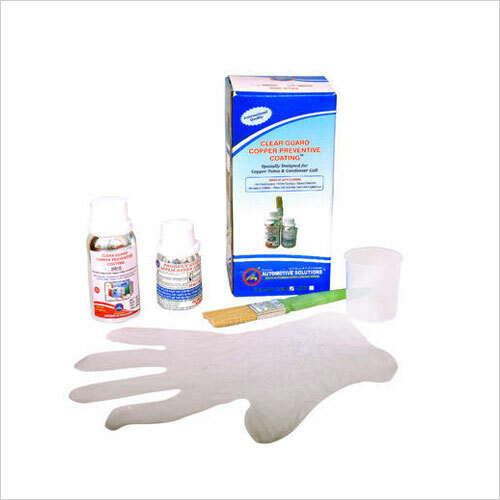 Typical exposure symptoms are irritation of the eyes, throat and respiratory organs. At a few hundred ppm, irritation of the mucous membrane of the eyes occurs. Breathing is intolerable at about 1000 ppm and vision may be impaired. The risk of fatality rapidly increases at concentrations of around 2500 ppm. In addition to personal injury, ammonia accidents can result in considerable equipment, materials, product and property losses. According to the EPA and Factory Mutual, ammonia releases have resulted in several catastrophic losses ranging up to several million dollars. Such losses have resulted from ammonia contamination to product, as well as explosions because ammonia is potentially combustible. Pipe failure due to electrolytic corrosion between dissimilar metals. Materials of construction for ammonia are dependent on the operating temperature. Whilst mild steel may be used at ambient temperature special steels are required at low temperatures to avoid embitterment. Impurities in liquid ammonia such as air or carbon dioxide can cause stress corrosion cracking of mild steel. Ammonia is highly corrosive towards copper and zinc. 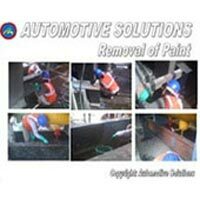 Therefore Selection of Right System for Paint is necessary to avoid corrosion between dissimilar metals. The Occupational Safety & Health Administration (OSHA) has set a limit of 25 parts-permillion (ppm) in the workplace during an 8-hour shift and a short-term limit (15 minutes) of 35 ppm. International standards for ammonia exposure are similar to those in the U.S. The effects of ammonia exposure range from irritating smells to life-threatening situations. The Environmental Protection Agency (EPA) regulates ammonia under the Clean Air Acts General Duty Clause [Section 112(r)(I)] and Risk Management Program (RMP) Rule [40 CFR 68]. Facilities with over 10,000 pounds of ammonia are required to develop a hazard assessment, a prevention program, an emergency response program and submit a risk management plan to the EPA. 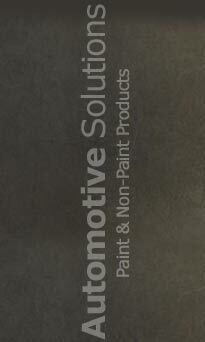 Presently in India, Nitro Cellulose or Synthetic Enamel Paints are used to protect the Rust. 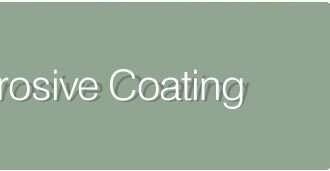 But Have you ever thought whether this Paint will provide you Adhesion, UV Resistance , Resistance to Chemical & Environmental Damages. 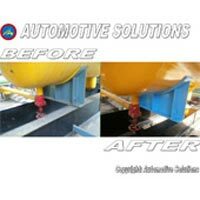 The Problem is realized when the Corrosion Starts & Metal starts Corroding due to incompatible & old Painting System due to ammonia. 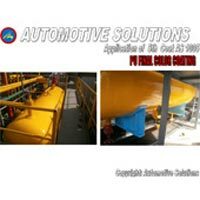 We at Automotive Solutions have ample of experience for providing perfect system for your expensive system that Safeguard & Protects against any corrosion related Problems. 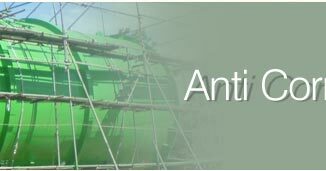 We have designed Systems to provide the equipment from Protection against Rust & Corrosion. 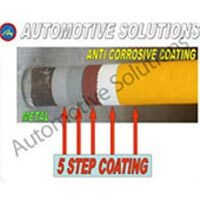 We have a 3 Coat & 5 Coat System, Rust Preventive Coatings to implement for these sensitive areas. 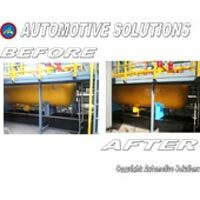 We Provide Solutions to Ammonia Plant Anti Corrosive Coatings in Various Parts of India covering Major City like Delhi / Noida / Gurgoan / Haryana / Punjab / Faridabad. So Call us for more Information on our product line & safeguard your Expensive Equipment, Personal Safety & Environmental Pollution. Copper Corrosion is the degradation of metal caused by a reaction with the environment, such as oxidation and chemical attack of the metallic surface. Copper is susceptible to attack from sulfur-containing gases. The result is the formation of a nonproductive layer on the material surface. Unprotected copper tubing will continue to react with the contaminant and corrode. 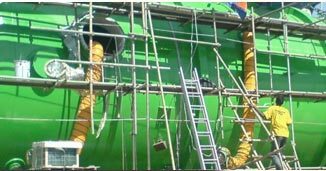 Under severe, prolonged conditions, the copper tubing continues to corrode until the integrity of the equipment is jeopardized. Unprotected copper in polluted industrial environments can lead to failure of the refrigeration system. Sulfur- and nitrogen-based electrolytes are often the cause of accelerated corrosion in industrial environments.